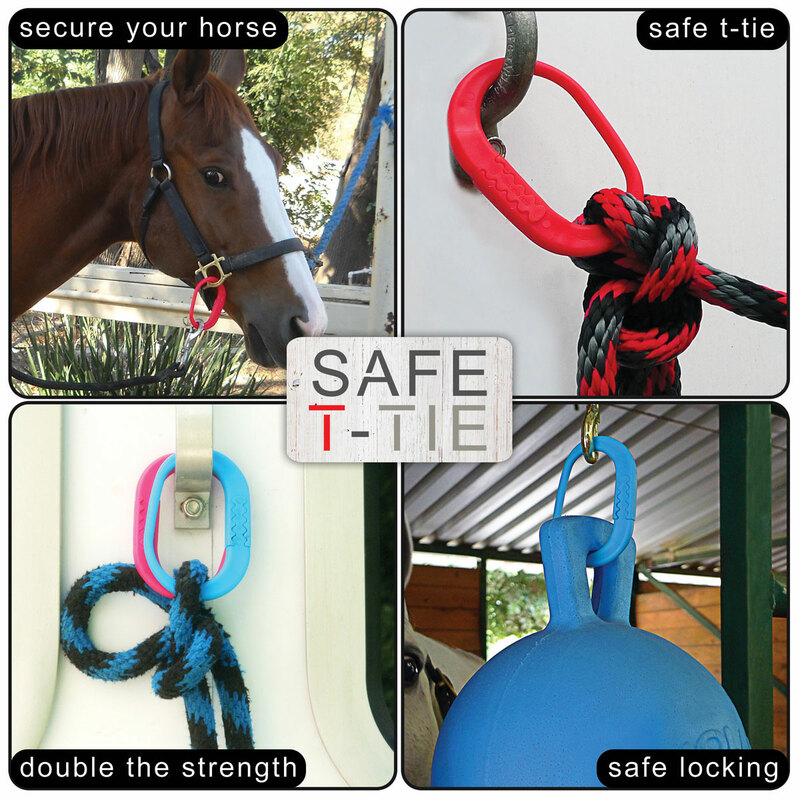 Safe-T-Tie is a revolutionary way to safely tie your horse. 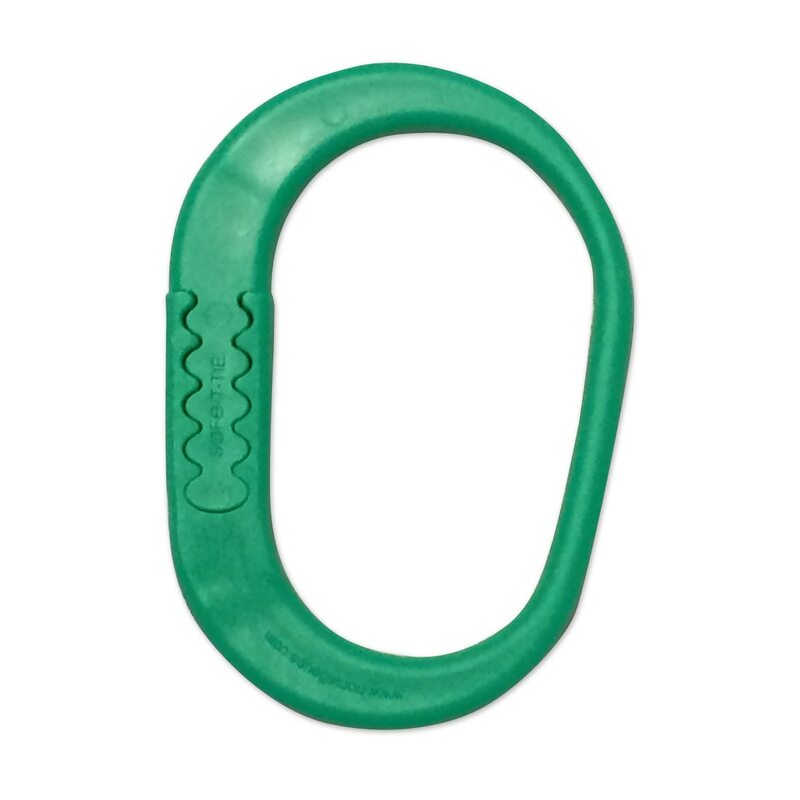 Portable and reusable, it is a safer alternative to solid tying or using a temporary solution such as baling twine to tie up a horse. Five security settings to provide different levels of resistance, allowing you to choose how easily the tie will release when placed under sudden pressure. Can be used nearly anywhere you would hard tie a horse. 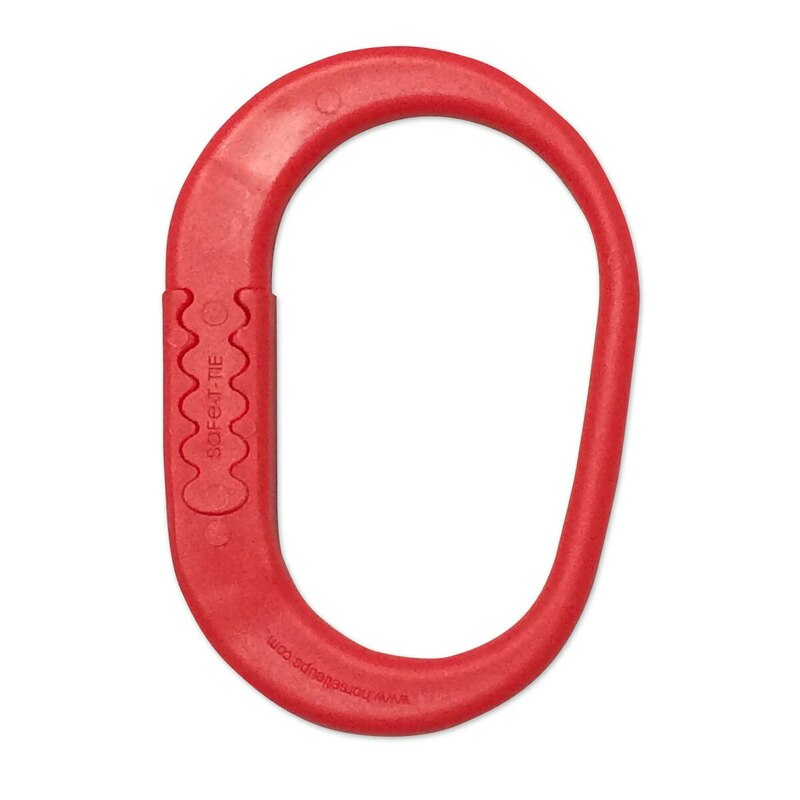 Equipped with five simple loop settings, Safe-T-Tie is strong and sturdy. Do not tie your horse or pony to anything that moves; be sure to test fence posts and other items that could be weak at the bottom, which could be ripped up out of the ground in the event your horse panics. 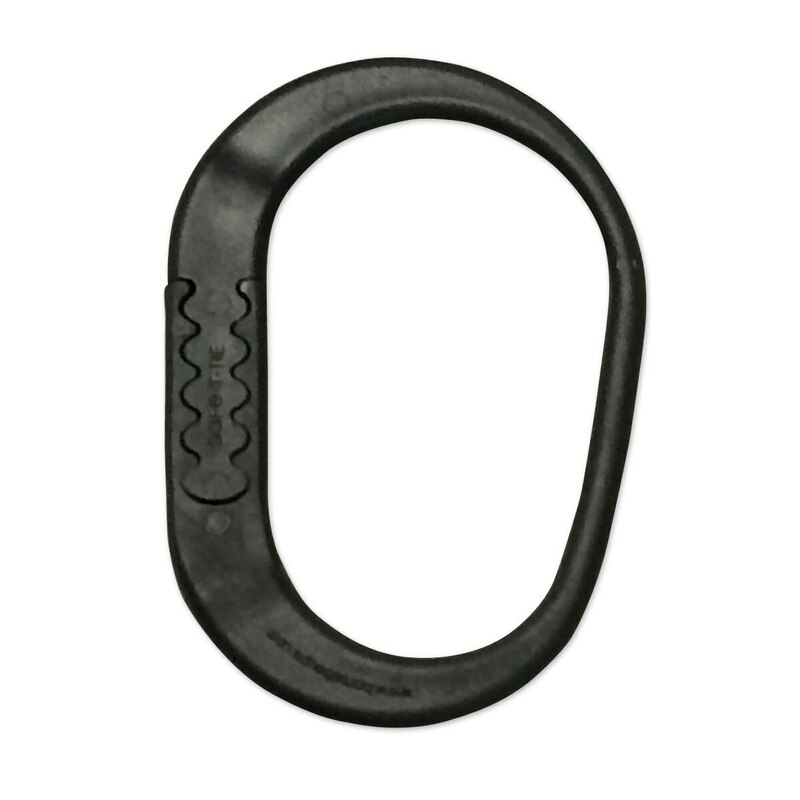 Whatever level of resistance you choose, Safe-T-Tie will release when placed under sudden, severe pressure. You will still need to tie your horse at back level, short enough so that he cannot become entangled. Using Safe-T-Tie minimizes the risk of injury to your horse as well as to others nearby. Safe T-Tie is rated 4.4 out of 5 by 21. Rated 4 out of 5 by kcdressage from Well made, sturdy! My vet recommended this product to me as I always seem to have young horses. My newest horse hasn't felt the need to test it out (and I'm glad about that, lol! ), but I'm confident that if something happens this product will help us both stay safe. Rated 5 out of 5 by Ashley from Add a little fun to your barn! These are a nice change from old baling twine. Really cleans up the look of the isle way and grooming area. Rated 5 out of 5 by PINA colada from Great invention Extremely satisfied with my clips. Just bought a new trailer and I didn't want it to get damaged if in the event of an emergency or panicking horse. Great variety of colors. Rated 5 out of 5 by TristanJade from Keep it simple I'd rather tie with these when possible. Prefer to have an escape plan should something unforeseen happen to really spook, even the most bombproof, horse. Unfortunately for me, I just bought another set on Amazon for more than they are selling here. I will now always check SmartPak first. 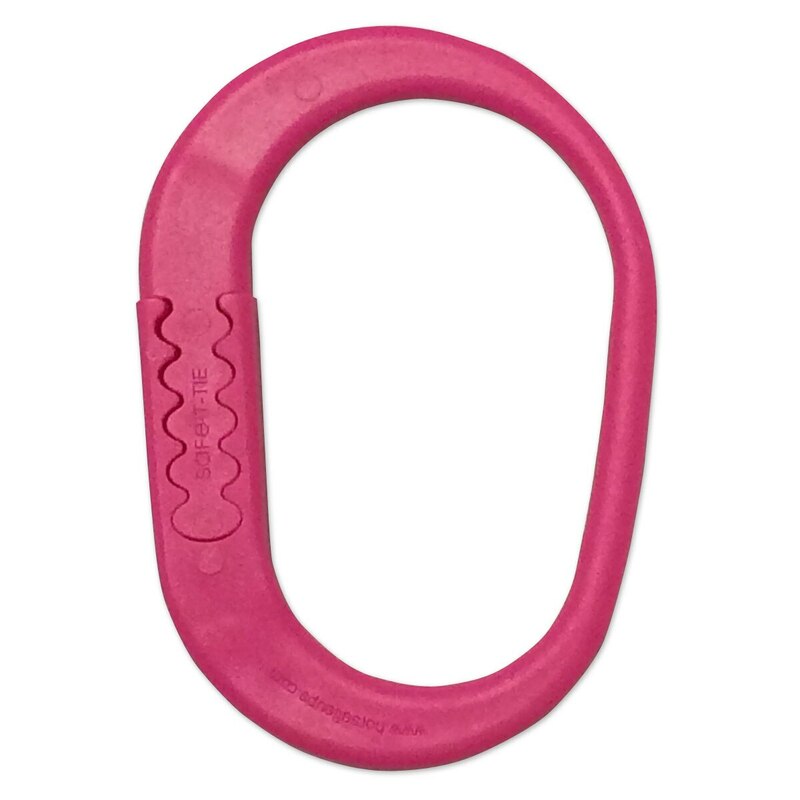 Rated 4 out of 5 by JenM from Great, eas to use safety measure I've used these for about a year and really like them. I use them when I tie my horses to my trailer, every time. I have tied to them or used a clip to attach to them. Very easy to put on or remove, but hold closed very well too. Only thing is do not leave them out 24/7/365. They do get brittle aND break if left in the elements too much. That's why I purchased another pair. Rated 5 out of 5 by rl2322 from Seem to work Bought as a neater and more reliable solution than baling twine tied all over trailer. If anything, they break apart too easily, definitely use on tightest setting. Mine pulls it off trying to reach grass... I feel very comfortable it will break if he panics and pulls. Rated 3 out of 5 by Kristen from Works until they figure it out.... This worked great until my mare figured out how to break it open so she could walk away from the trailer and graze. I now tie her to two doubled up, but I still worry she can get out of it. Rated 1 out of 5 by Lennieoat from Bad Design I purchased these thinking they would be a cheaper alternative to the Equi-Ping safety ties that are similar. That was a mistake! I installed them on my crossties and tried pulling on them to test their strength and they pulled open without that much pressure. If you or your horse pulled on this in any direction other than straight down, they would open without much force. The manufacturer needs to put some sort of enclosure around the part that opens to make sure it only opens if downward force is applied (like a pull back). Equi-Ping put rings around theirs. Guessing that would fix the issue on these as well. Until that happens, not worth buying. Rated 3 out of 5 by Sprout from Opens too easily This is a great item for a horse that already ties well and you don't want to hard tie because of the potential for an accident. However, it releases quite easily and isn't good for tying horses with problems pulling back (they learn that they get free when they pull back; I prefer something like a Blocker ring will give them some release by letting the rope slip a bit but won't actually free them unless they pull all the way to the end). I was hoping to use this to hang hay nets so that there'd be a release in case my horse managed to get himself hung up on it, but it wouldn't stay closed for any real length of time just in the normal tossing around of the net my horse does to get hay out. I've found a few places around the barn that I can use these for light duty applications, but it's not nearly as useful as I envisioned it being.